This is the most comprehensive and current reference resource on climate change available today. 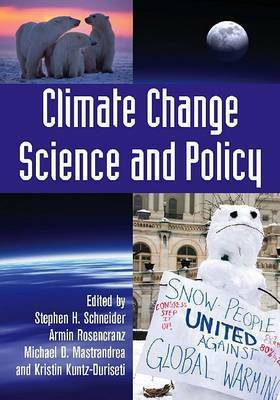 It features 49 individual chapters by some of the world's leading climate scientists. Its five sections address climate change in five dimensions: ecological impacts; policy analysis; international considerations; United States considerations; and mitigation options to reduce carbon emissions. Stephen H. Schneider is professor of biological sciences at Stanford University, where he is also codirector of the Center for Environmental Science and Policy. Armin Rosencranz is the founder and former president of Pacific Environment. Michael D. Mastrandrea is a research associate at the Stanford University Center for Environmental Science and Policy/Woods Institute for the Environment. Kristin Kuntz-Duriseti is in the department of Political Science at the University of Michigan and is also associated with the Institute for International Studies and Biological Sciences at Stanford University.